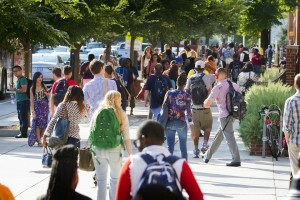 Online community, regarding recent discussions in the LGBT community about the College and one of our students, Central Piedmont Community College (CPCC) is an open-door, open-access institution of learning, and we are proud of its rich diversity. CPCC has a 50-year history of being fair, respectful and considerate of all students. The College does not tolerate harassment of any kind. College personnel have been investigating the incident in question for several days, and the goal is to reach an amicable resolution with the student in the near future. The College has examined its policies and procedures, and we are certain that they are in compliance with current laws. The College will work to ensure those policies are followed and clearly communicated. We intend to have on-going dialogue with local and state LGBT leaders, including the College’s own LGBT organization, as we continue to address this issue.